Pornhub has announced it is releasing an album for Valentine's Day featuring a collection of popular hip-hop artists. According to Complex, the album is in collaboration with Create Music Group and includes six tracks by the likes of Tekashi 6ix9ine, PnB Rock, Lil AK, Lil Xan, Asian Doll, 24hrs, MadeinTYO and Blac Chyna. The Vice President of Pornhub, Corey Price, expressed the inspiration behind the album in a press release. "To help ease the stress of planning the perfect Valentine’s Day, we wanted to show our fans some love by curating an album so seductive that it would make Cupid himself blush—and is guaranteed to end your night with a bang. With over 100 million people visiting Pornhub daily, we know what gets people in the mood. When you feel like the night is about to reach its crescendo, dim the lights and throw this album on. You’ll thank us later." Lil Xan, who includes his track 'Shake It' on the album, shared his excitement for being featured in the project: "I knew this song was the perfect fit for Pornhub’s first album. I love what they’re doing with this." For more on Pornhub, check out its freshly launched fashion line here. 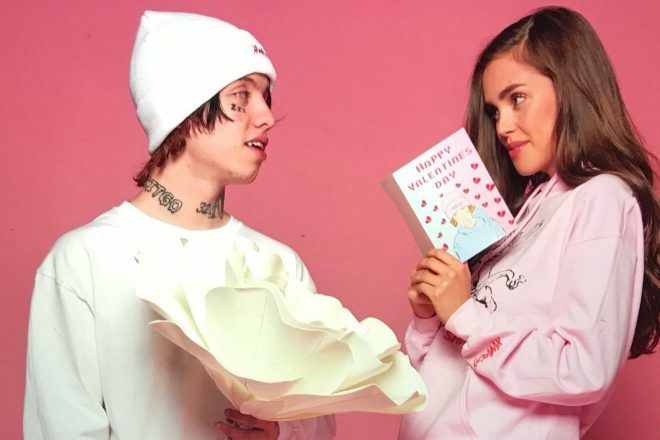 Listen to the Pornhub Valentine's Day album below.